August is state fair month in Alaska, and one of the state’s most colorful (and oldest) state fair is the Tanana Valley State Fair in Fairbanks, just a short 4.4 miles from the Fairbanks Princess Riverside Lodge on the banks of the Chena River. Established in 1924, one of the fair’s most unusual features is nearly as old as the fair itself: The Biggest Cabbage Contest dates back to 1926. The size of that historically prize-winning cabbage is unknown to this blogger, but given that Interior Alaska’s summer daylight hours were just as generous in 1926 as they are today, it was probably impressive. It’s not uncommon for these cruciferous veggies of monstrous proportions to exceed 100 pounds. The contest, and the fair itself, is a spectacle not to be missed. Highlighting the cabbage alone would do a great disservice to this annual celebration of all things Alaska. The fair has grown substantially from its original venue at the downtown Moose Hall Auditorium in Fairbanks to encompass more than 100 acres of land, and is now nine days long – six days longer than it was when it started. 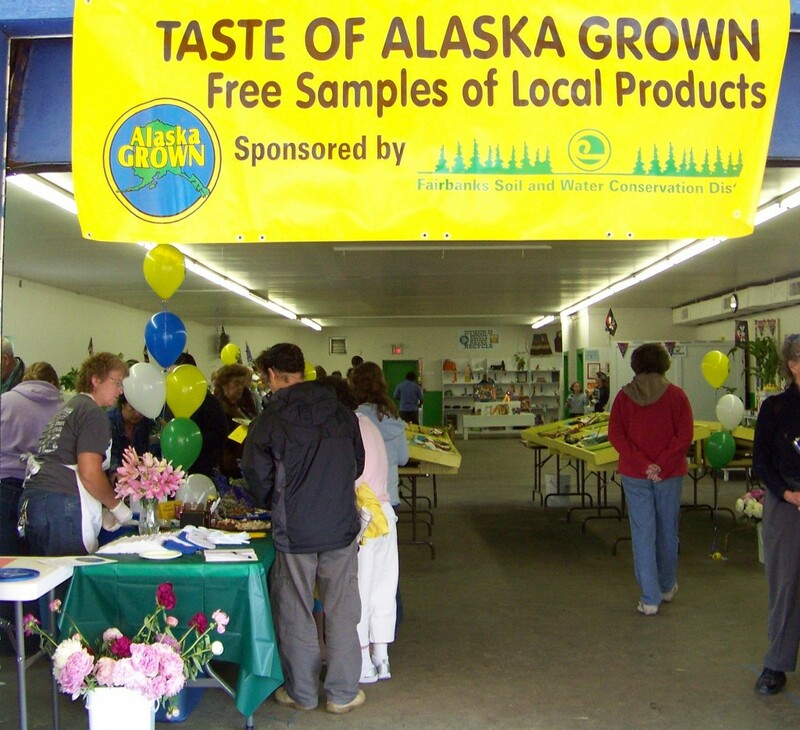 It is the oldest fair in Alaska and, in the earlier years of statehood, took turns with the Alaska State Fair in Palmer for the honor of being Alaska’s “official” state fair. The history of fairs in the area dates back as early as 1915 or maybe even earlier, according to the Tanana Valley State Fair Association. The 1953 fair recorded the highest attendance to date – 10,000 visitors. The Baby Show, Farm and Garden Display, Most Attractively Decorated Advertising Commercial Booth Contest and the ever-popular Biggest Cabbage Contest were just as popular back in the fair’s early years as they are today. Many of the competitive exhibits featured at the fair in recent years were found in the Official Premium Lists of the Fair in the 1920s. Though it has grown and changed since its inception in 1924, the Tanana Valley State Fair has retained a down-home feel, with sawdust-covered pathways snaking around the fairgrounds and locally owned booths selling homemade food and crafts, art and other curiosities. The Tanana Valley State Fair is well worth a trip north to Fairbanks – especially if you’ve never been. This year’s fair is slated for August 3 –12, and within that timeframe there are dozens of special events and performances. The Fair Schedule promises a long list of contests, events, music, dance and comedy shows and an annual farmers market, in addition to a colorful list of exhibits, including Alaska Native arts, mushrooms, fashion shows, flower shows, bake-offs and cake decorations, a horse show and a dog show. This year visitors to the fair can get their groove on at an Alaska Club Zumba party, Dancing With the Fairbanks Stars competition or the Large Barn Contra Dance, so go ahead and indulge on fair food goodies or pies at the pie-baking contest and leave the guilt for later. 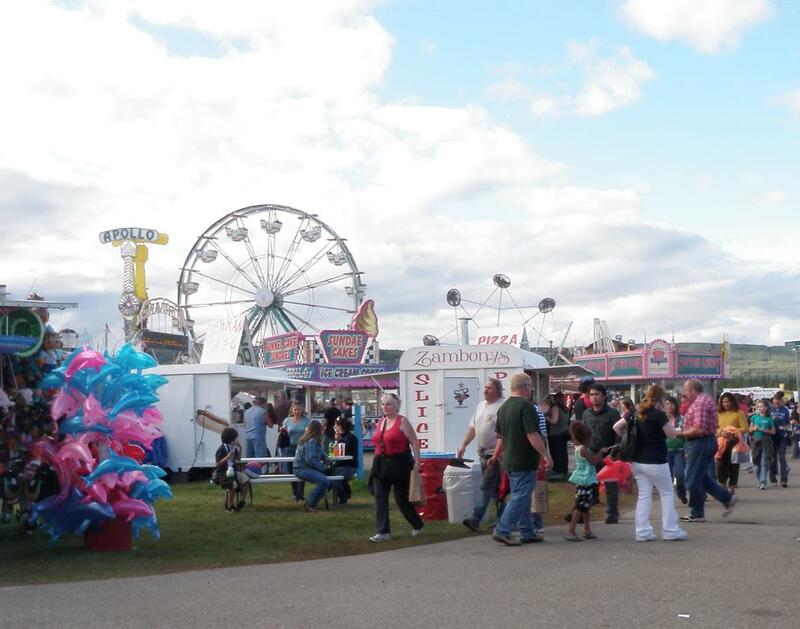 These and the antique tractor pull, freight dog pull, talent show and rocket launch for kids are just a taste of all the attractions that draw locals and visitors alike to the fairgrounds each year. Check the Fairbanks Princess Riverside Lodge for special summer rates. Ticket information and a list of exhibits and events are available here.